Finally, this grueling election is over – one of the most polarizing and bizarre elections in our nation's history. Here we had two of the least liked or trusted contenders ever to run for the Oval Office: Hillary Clinton and Donald Trump. Had the Democrats nominated anyone other than Clinton to run against Trump, it's likely they would have one of their own sitting in the White House on January 20th. Likewise, if we had replaced Trump with one or another of his Republican primary rivals, his narrow victory over Hillary on November 8th might have been replaced by a Republican landslide. Tens of millions of voters did not even bother to vote in the Trump/Hillary match-up, including former President George W. Bush and his wife Laura. In fact, voter turnout was the lowest it’s been in twenty years. Both Trump and Hillary received millions less votes than their 2012 counterparts Mitt Romney and Barack Obama. It appears obvious that American voters, for the most part, were less than enthusiastic about these two choices – with a vast number of Americans voting for what they perceived as the "lesser of two evils." It's interesting to note that, unlike what is usually the norm, Democrat voters did not simply coalesce around their candidate. Hillary received six million less votes than Obama did in 2012. From the beginning of this election, I've been in the "Never Trump / Never Hillary" camp. Trump's all-over-the-map positions, over-the-top rhetoric, moral tardiness, denigration of women, and erratic temperament were more than I could swallow, yet as a conservative Republican, I couldn't support Hillary, either, especially given her long history of corruption, cover-up, and extreme liberal ideology. I therefore voted third-party for the first time in my life. And I'm not alone. Millions of voters and such notables as U.S. Senator Mike Lee on the conservative side of the GOP and U.S. Senator Lindsay Graham on the more liberal side also opted to vote for a third-party candidate. I wasn't shy about my opposition to Trump and Hillary. I was a delegate to the Republican National Convention in July, for instance, and took part in the "Free the Delegates" movement – the aim of which was to encourage delegates to vote their conscience (which could have resulted in the GOP nominating someone other than Donald Trump). I have therefore been the focal point of death threats, harassment, and vile mischaracterizations by a handful of ardent Trump campaign surrogates and backers. I thus have legitimate reasons to remain "Never Trump." But I've decided that's not what I'll do. As our President-elect, Trump deserves the chance to prove himself. So, what now? Our country is certainly divided. 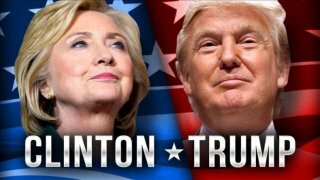 Both Hillary and Trump have sounded a conciliatory tone in the days after the election, with Trump stating he will be "president for all Americans" and making overtures for unity with Americans who didn't vote for him. That is a positive sign given the brutal, in-your-face battle we watched throughout the campaign season. I have no grand illusions, though, that Donald Trump will be a Reagan Republican stalwart, like the type I typically fight to elect during GOP primaries and who I believe this country truly needs to restore our nation's life and unity, but Trump is what we have to work with now and to date he has put forth a decent agenda – much of which I could enthusiastically support. No one knows at this point what kind of president Donald Trump will be, but I believe we should proceed with guarded optimism. And now that Republicans control the White House and both chambers of Congress, and will hopefully choose a strict constitutionalist to fill Justice Scalia's vacant Supreme Court seat, we have an extraordinary opportunity to turn our country around. I just pray that Congress will have the spine to steer Trump to the right if and when he veers left, and will take necessary measures to ensure that Trump fulfills his campaign promises (at least the legitimate ones) and his proposed conservative agenda. To quote David French of National Review: The "role of conservatives – whether they were Never Trump or supporting Trump out of a belief that he represented the 'lesser of two evils' – is clear. Trump is not naturally or intellectually conservative. He is self-interested. It is vital that we unite to strongly and clearly declare that life, liberty, and constitutional governance must prevail. I'm under no illusion that conservatism won the White House, but conservatism has a voice. We must use it without fear." It is up to us to encourage Congress to keep Trump on the strait and narrow path of conservatism. Stefani Williams has been active in conservative politics since the age of 16. She worked on Capitol Hill in Washington D.C. for several years as deputy chief of staff to Alan Keyes. She and her husband have 6 children and reside in Southern Utah.